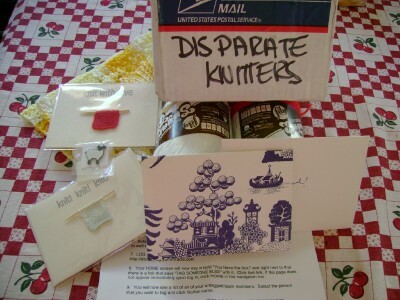 I have been having lots of fun here lately receiving boxes of dishcloths. First up is my Dog Days of Summer Dishcloth Exchange. Jill over at Two sticks and Yarn sent me lots of lovely goodies. 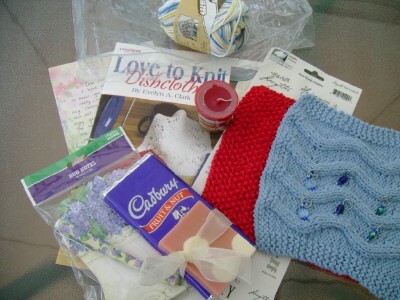 She sent two pretty dishcloths she knitted, stitch markers, a great dishcloth pattern book filled with ten patterns of heart cloths, a pen and paper set, hand-made soap, a candle and candy. Thank you so much for everything, Jill. Next up is my Dishrag tag box. This is a fun little race I signed up for that involves ten different people passing along a box that you fill with a dishcloth and yarn and some goodies. You cant knit the dishcloth until you receive the box and you must use the yarn in the box. Here is what Julie over at Woolgathering sent me. Thanks so much, Julie. The little knitted cards are just too cute. 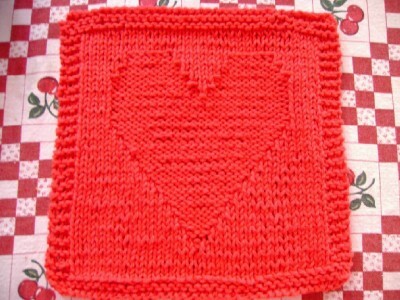 So I spent today knitting my dishcloth to send to the next person in line. Good thing I had a brand new book from Jill. I used the red yarn and made this. In and out in one day, pretty good, I am shocked I was able to pull it off as I am a really slow knitter. I am glad I had already purchased everything to go in the box when it arrived. It is now winging its way to Linda at Infiknitty. 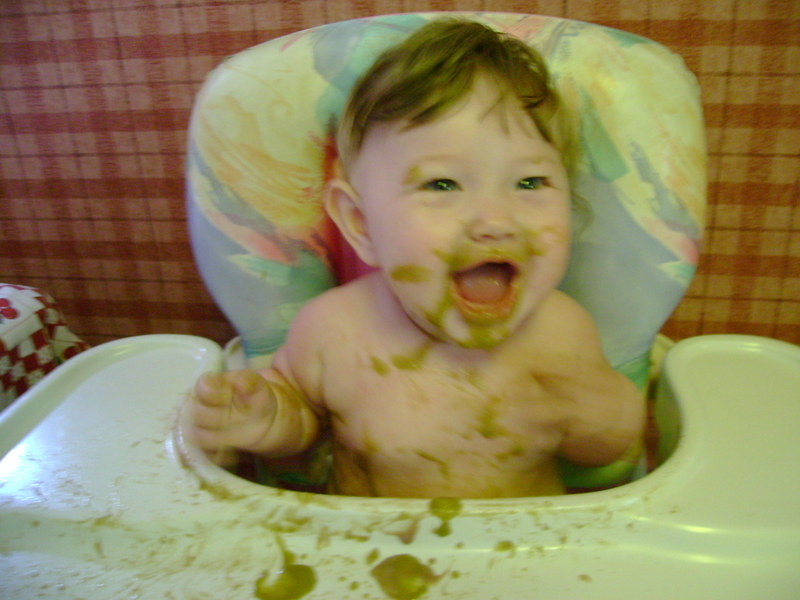 Bella says its a good thing Gramma is getting all these dishcloths because eating peas makes a Big mess!! !